I'd heard Ben Aaronovitch's name mentioned a lot recently, so snapped this up when I found it in a charity shop. I love a paranormal whodunnit with a sense of humour. This is a vividly imagined, very enjoyable read with quite a few snorts and sniggers. I will be looking out for the next book in the series. Given to discoverylover. Hope you like it! Thanks again for this Snedwards! And for such an awesome holiday! I've just finished this and really enjoyed it! I'll also definitely be on the lookout for the next one in the series. Picked up at Book Festival meetup - thanks! This was a happy find! Picked it up at a bookcrossing meetup purely because I liked the cover. I had no real idea what it was about until later. One reviewer suggested it was what would happen if Harry Potter grew up and joined the Police. Fantasy crime. The story centres around PC Peter Grant, newly qualified and about to be assigned to a unit. One night he is involved in a murder enquiry where he appears to have taken a witness statement from a dead man. He finds himself assigned to Inspector Nightingale, the last wizzard in England. Together they investigate a series of murders and come into contact with all sorts of wierd and wonderful beings that live amongst us. Engaging story (although a little obvious in places), nice level of humour, first of a series. If I happen upon the second, I'll read it, but I might not rush to find it when there are so many other books to chose from. Have decided to make this a bookray. there are a lot of really great things about this book! Arrived safely with me. Thanks to everyone who got it this far. I shall read it next and forward it on to the next reader soon as I can. This was a fantastic surprise! I don't think I've ever read anything like it. What you have here is a masterful blend of real London, Metropolitan Policing and Magic! (Because everybody needs a bit of magic in their lives - or it would be so boring). He's done it so cleverly, you could almost believe it's real. But best of all was finding a book that kept me entertained because I honestly had no idea where it was going or where it would end up! I look forward to reading more in this series. Just parcelled this up to be posted on my lunch break tomorrow. I get to go (The London) Underground and this book gets to go to Greece!!! Luck book. With me now, thank you for sending! Already started reading, going fast. I've got mixed feelings about this book. 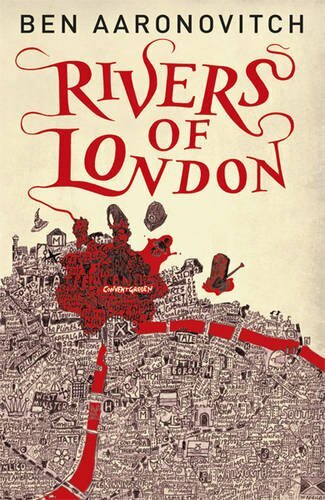 It was a very fast and pleasurable read, I liked the characters and the humor and I loved the descriptions of London ...but the plot was one big mess, at least the way I perceived it. Still, I'd be very happy to read the next of the series, even if it is only in order to meet these characters and their city again. The book is now traveling to LilyKlip. Enjoy! I'm really sorry. I forgot to make a journal entry. The book arrived with me weeks ago and I'm already about a third into it. I gave up about halfway through. Can't really say why but the story didn't really interest me enough and neither did the characters. Arrived today and has to wait a little to be read but I must admit to be curious. Thank you for the ring and for shipping. My first language is German, but I often read books in English. This one wasn't an easy reader for me. If it hadn't been a ring I might have put away for a while. I enjoyed reading about all the streets and places of London which were quite familiar to me. (I have stopped counting my visits to London.) I liked to learn about all the hidden rivers of the town. I was amused to find ghost and wizards in a detective story but it's the weirdest story I have ever read and there were quite a few details I didn't understand. Anyway the book was an interesting challenge for me, but I am not striving for the next part of the series. I might have a try with a German copy, if I ever find one. I am happy this is a ring so I need not think about where to release it. Thanks for sharing. Being shipped to China now. Thanks for the book, and the fantastic package too! Loved it! Interresting scenario, great discovery of the city of London, intriguing characters. Safe travel little book, and enjoy the magic of your journey! Have emailed peacemonger84, a couple of times. No reply. Pail me, if you you like to be next. Received this a few days ago after the hurricane, and I finally got wifi back so I can come online to journal all the books! Really glad to see this book, as like some of you, I've heard great things about this series. My library however does not carry it, so I am happy to receive this RABCK. Thank you, look forward to reading it as I am sure I will enjoy it tremendously. This is an interesting read for sure, although I can't say I love it, because quite a good chunk of the story got me really confused, and I have to flip back the pages in an attempt to understand the story better. Sometimes without success. I guess if it were a movie I could have just enjoyed the ride without thinking too much, but as a book, I couldn't.